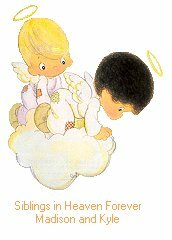 Siblings in Heaven...written for Peggy and 2 of her angels in Heaven. Never to part...your children forever are we. all these things are gifts to you. We love and are with you still. down to be with you right there.